If you’re jonesing for a coffee and it’s too far to walk, the Starbucks iOS app was just updated with Uber integration. Now you can call a black car to get your black coffee. The app is live now but warns that you “must have the Uber app installed and be in a city where Uber is available.” Seems fair enough. 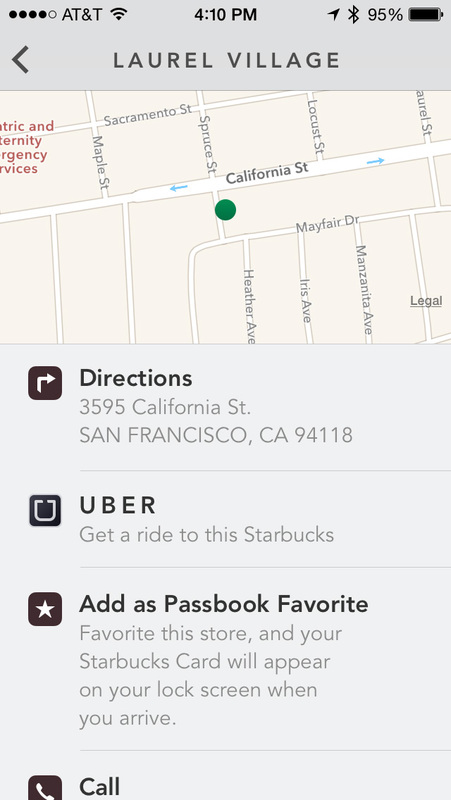 When you click on the Uber button in the Starbucks app for a store you’d like to visit, it launches the Uber app. From there it’s the typical Uber experience except at the end you get a hot cup of caffeine. The update also addressed some sign-up concerns experienced by some customers, and tackled the usual bug fixes and enhancements.